With a background of interest and experience in editing still and moving images, it was only natural for me to apply for a GAA position at the Digital Initiatives of the UBC library. I was excited to be appointed as GAA with responsibilities in three areas, Metadata, Preservation and Quality Control. 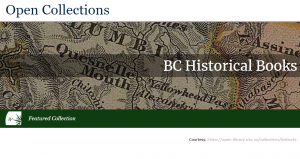 I get opportunities to work with applications such as Open refine, Adobe Photoshop, Renamer, ContentdM and Archivematica as I digitize rare and historical books that contain precious historical accounts of the province of British Columbia. The quality achieved while digitizing these materials is top notch through the latest ATIZ machines that are used in the UBC digitization centre. I also get to apply the learning gained in my Foundations of Resource Description and Knowledge Organization (LIBR509) course as I develop metadata for the digitized material. 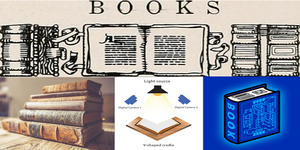 It’s exciting to see how the original book (ancient and rare), now taking on a new form that’s digital while still retaining its flipping capability to retain that feel of turning pages on a real book. The magic happens as I use the ContentdM project client to integrate the metadata with the uploaded pages of the digital book. 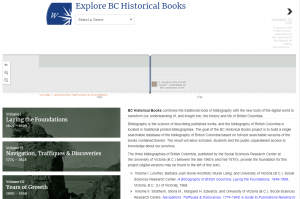 The book is now searchable and viewable on the open collections of the UBC as a digital collection. The rebirth of yet another precious document in a new and relevant form! 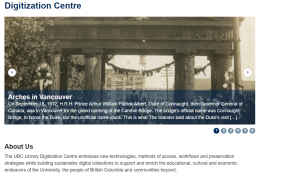 The original files of these books in raw and edited forms are also taken for preservation at the Artefactual application Archivematica, thus fulfilling another dream of UBC’s DI team which is for long-term access for each of these rare historical documents. In the course of my stint here at the Digitization Centre, I have been learning and polishing image editing skills, content management skills, metadata preparation and quality control skills which find their place at every stage of this amazing process. My background in Engineering enabled me to grasp technical concepts easily for their translation to the processing of these digital content. I had the privilege of learning new processes and procedures as they applied to Digitization, Metadata development, preservation and quality control. It was very satisfying to see a book that was just minutes ago in a hard copy form being transformed to a digital content which in turn was available for viewers across the world in a non-corruptible and easily accessible and usable form.